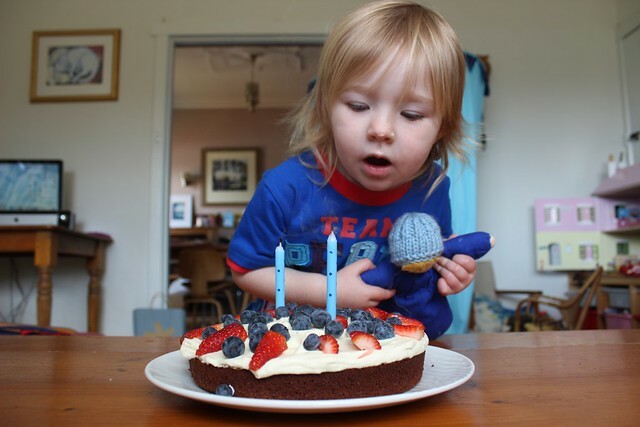 So I look at cake and think Oh wow, Tiny is already a year old... then I see TWO candles. What happened to the last 12 months? Happiest birthday! May the next trip around the sun be the best yet! Our moment this week comes from a (rare) autumn rainbow sighting! I have never seen so many rainbows in New England as we have seen this year! Eek, she grows so fast! What a sweet little thing she is. Happy 2nd birthday Tiny! Happy Birthday, Little One!! Gorgeous cake!